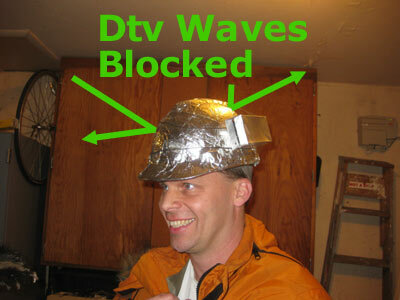 Don't get caught unprotected June 12, when digital television receivers will begin picking up brainwaves with higher-frequency energy blasts. 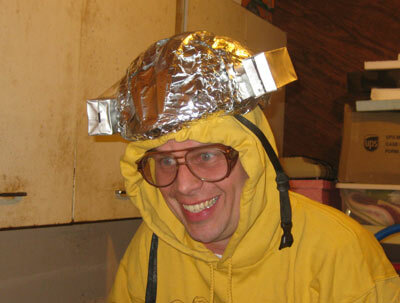 Foil hat and helmet wearers need to affix a converter box directly to the exterior. 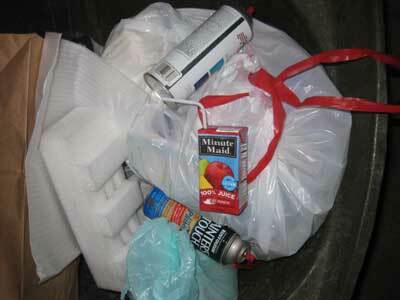 The best choice for this application is the paper/plastic/foil laminate Tetrapak used for hospital juiceboxes. 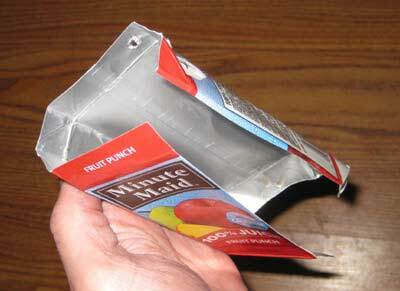 Step Two: Drain the juice box, leaving only the box. Slice open the side and turn it foil-side out. Then tape it together again. Stuff with green vegetable matter, such as lawn grass or leaves. 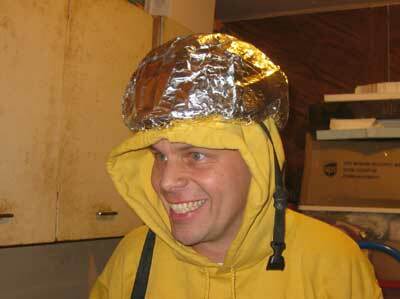 DO NOT USE GRAPE LEAVES as they are rich in electrolytes and may amplify your brain signal. If juice comes out when you stuff grass inside, you probably forgot to drain the juice, as in Step 2 above. 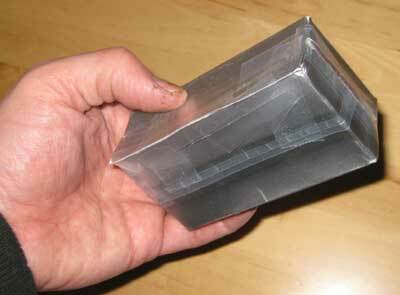 Affix the box with tape or glue or special tape or special glue. You are done. 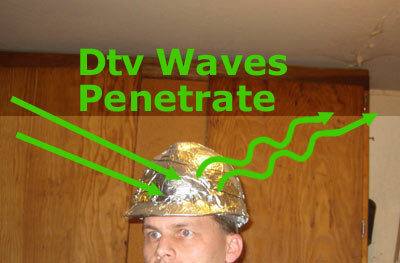 Your mindwaves are utterly scrambled and unreadable. Helmet Type 2 - Before. Helmet Type 3 - After. 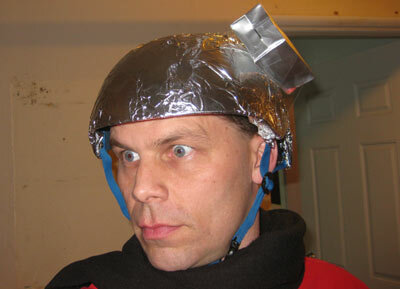 Two converter boxes will not provide additional protection, but will be easier to balance on your head. 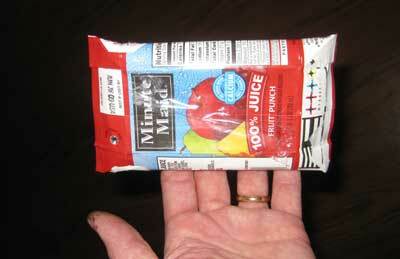 Capri Sun pouch should work for SKYNET ONLY. Helmet Type 3 - Before. 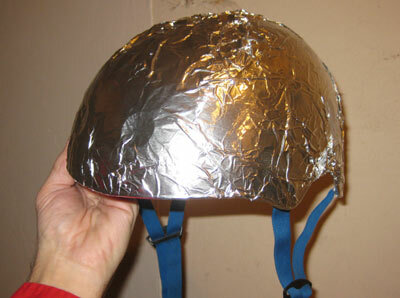 Helmet Type 3 - After Conversion. DO NOT POINT STRAW HOLE TOWARDS YOUR HEAD. That is where the invisible energy will vent in case of a focused mindscan. As long as you are finished by June 12, you are fine. Don't worry about digital television broadcasts being used in the past. They would need a time machine, which are mathematically impossible to create.